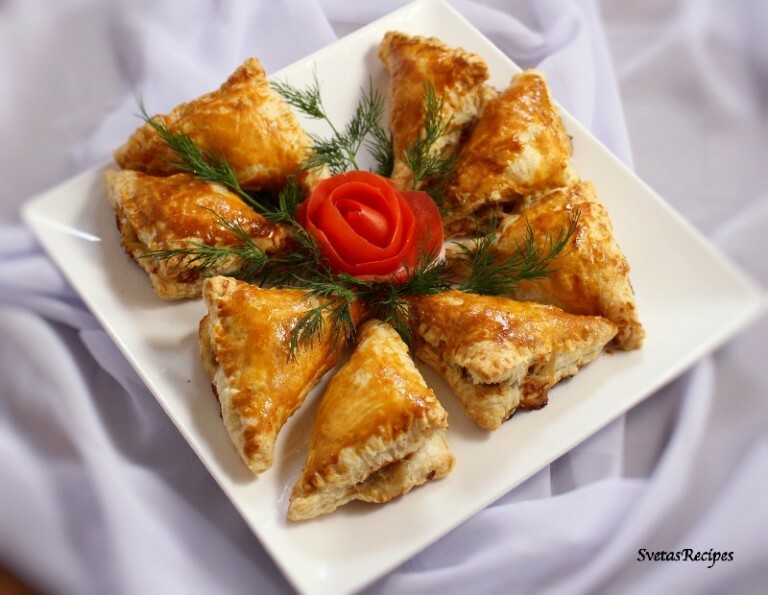 This meal includes puff pastry triangles with juicy beef inside. My family enjoyed this meal for dinner and I hope you do too! 1.) Cut your puff pastry dough into 15 equal pieces. 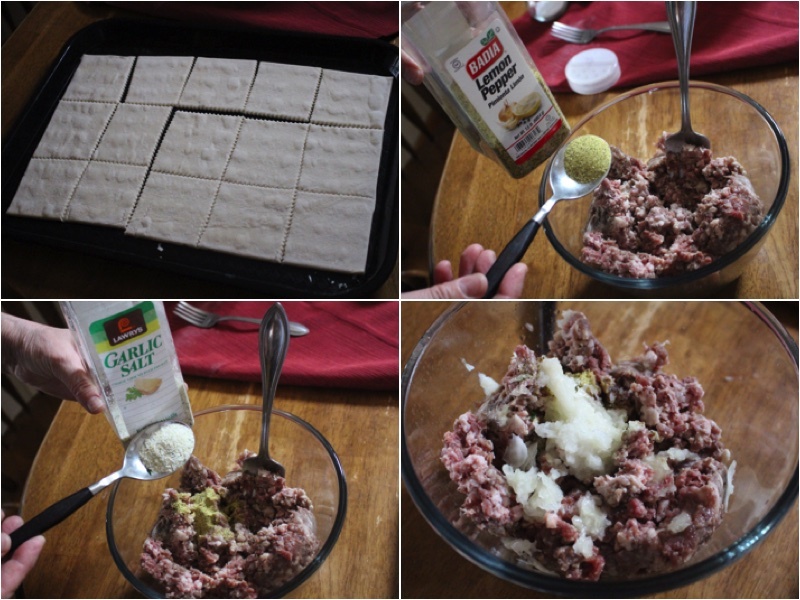 In a medium size bowl combine your meat, shredded onions, and seasoning (salt, pepper, garlic salt). 2.) 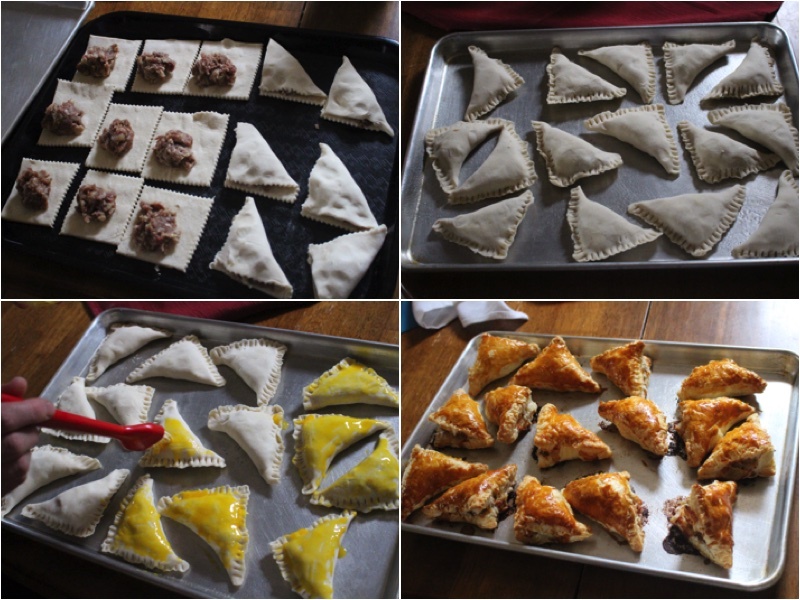 Place 1 Tbsp of beef in the middle of each puff pastry square. Next connect the corners and If you would like, use a fork to add a texture to the sides of the triangle. 3.) Now using a brush coat your puff pastry triangles with mixed egg yolk. After bake for 40 minutes on 350 Degrees F. Last But not least place on a serving dish and enjoy! Cut your puff pastry dough into 15 equal pieces. In a medium size bowl combine your meat, shredded onions, and seasoning (salt, pepper, garlic salt). 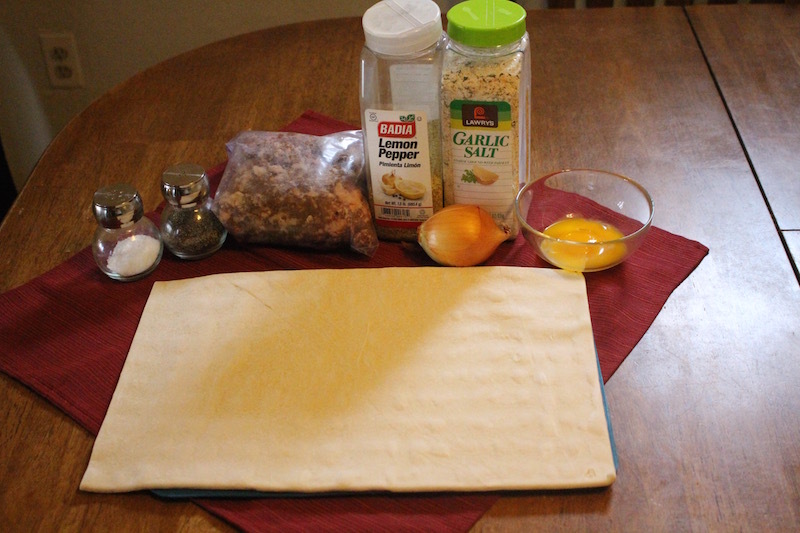 Place 1 Tbsp of beef in the middle of each puff pastry square. Next connect the corners and If you would like, use a fork to add a texture to the sides of the triangle. Now using a brush coat your puff pastry triangles with mixed egg yolk. After bake for 40 minutes on 350 Degrees F. Last But not least place on a serving dish and enjoy! Hello Sveta, can i make these with chicken? Yes, you can ! It might change the taste a little but i think it would be great! Let me know how you liked it. Thank you for your feedback, Ill definitely try it out too.